The low hum of a car in the distance. The soft shuffling of a cat's toes on the wet alley pavement. Your quiet, consistent breath in the ink-black night as you watch a silhouette glide towards you, clinging to the wall of a building like a rat. It's all familiar. Somehow, it's all familiar. 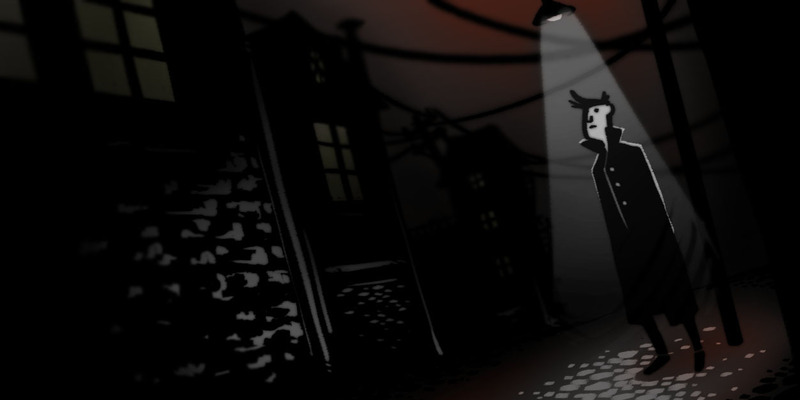 Inspired by film noir and Journey, Walk Softly is an in-production wordless game series that follows the intertwined lives of people - affluent and homeless, altruistic and thuggish alike - trapped in the turmoil of a depression due to the expense of an ongoing off-shore war. Players will explore puzzles and pantomime stories to uncover the pasts of these characters and what they mean to each other. Walk Softly © Trenchrat Studio, LLC. & Tobye Ryan. Powered by Blogger.